I know, we complain too much. What can I say, it’s a complaints-based system. One of the remedies that parents have in special education is to file a complaint with your Office of Civil Rights. It’s easy, and it’s not. But, don’t be intimidated. One of the ways you can really create change is to file a complaint and have the OCR side with you and force the school to make changes. Here are some tips for preparing, writing and filing your complaint with the Office of Civil Rights (OCR) for your disabled child. First, know what you’re getting into and the laws. Disabilities is a protected class. So are race, religion, and a few others. First, you have to make sure that what has transpired is a result of your child’s disability. Or, that you were retaliated against for participating in a protected activity, such as advocating for your child. I’ve written about retaliation before, so I won’t get into it too much here. For example, your child is disabled. Others are making fun of him, but it has to be related to the disability. If they are making fun of something else not disability related, that’s just mean, not necessarily a civil rights violation. Make sense? Then again, give me just about any topic, and I can usually find a way to link it to a disability. Say if the child is being made fun of because he loves Mickey Mouse. Not necessarily related to disabilities, right? Or is it? If the child is delayed, socially immature or perseverates on topics due to his disability, then his love of Mickey Mouse might be a manifestation of his disability. Therefore he is being made fun of due to his disability. The two main laws that I’ve quoted in helping clients do this is Section 504 and IDEA. There are a few others, such as Title IX that might be applicable, but you want to read them and make sure you are citing the correct law. Cite state and local codes and policies, particularly if a school policy (such as a discipline or extra-curriculars policy) resulted in your child being discriminated against. When to file an OCR/504 Complaint: If your child is in a protected class (disability, minority) ask yourself these questions: Is he being treated differently than his non-disabled peers? Is he being treated differently than his non-minority peers? Is he being denied FAPE (Free and Appropriate Education, as defined by IDEA)? Do I think he/she is being discriminated against based on race or disability? Then file a complaint! You also need to think: What would help change this? There is a section for suggestions for resolution and you need to have some ideas. Maybe mandatory training for all staff? Or that the playground gets some accessible equipment, or policies need to be re-written. Money will not be a remedy. This isn’t a lawsuit for damages. Document, document, document! Once again, if it isn’t documented, it didn’t happen. If there is no paper trail, create one. Email the teacher and say, “Mrs. Smith, I just want to be clear on what you told me today. You said that Joshua is not welcome on next week’s field trip because there is not enough staff to give him an aide on the trip. Is that correct?” Or, “I want to make sure that what I heard you say was that unless I attend next week’s field trip, Joshua may not go.” Whatever they do not refute in email stands as truth. You will need to make copies to send, if you need those documents to prove your points. Always keep a copy! Start sooner rather than later. Don’t waffle on deciding to file. You only have 180 days from the last incident to file a report. Six months might seem like a lot of time. But if you have to do Right to Know requests and other requests for records, that can quickly eat up your time. In PA, depending on the request, the school has 30-45 days to comply, and then if they want to stall and roadblock you, it can take even longer. Read the OCR website. Read the website first. There is an online form to fill out, but I recommend that you print it out and come back to it. The website does not have a mechanism to save, so once you start working on the online submission, you have to finish it. Complete the project offline, such as in a Word document. When you’re done, submit online or mail hard copies. Or both. And, after all that hard work, what if your computer crashes or internet disconnects or something? Better to have it in a safe place. There is a PDF version that you can print and refer to. You can download the PDF, edit it and save it as an alternative to answering the questions in Word. Past OCR Resolutions-read them! I have to say, the OCR website, at least the Dept of Ed portion, becomes less and less helpful each time I visit it. It is no coincidence that our current Sec’y of Education has said that she plans to lessen the role of OCR in Education, and now the website is not very helpful. I also find it incredibly difficult to navigate and search. Do what you can, but I also find it helpful to read past cases. I recommend a paper rather than online complaint. The old adage, “If you’re going to do something, do it well” applies here. The OCR complaints that I have seen achieve success are the ones where the parent/advocate spent a tremendous amount of time. Connect the dots for them. “My child is being denied FAPE because….” Include exhibits, like a big notebook, and footnote them. No “The teacher emailed me and said….” Print the email, include it as part of your complaint. Every piece of documentation that you have to support your case, include it. Organize it. Get help if you need it, if this isn’t your strong suit. A complete stranger should be able to pick this up like a storybook and read it start to finish, and come to the conclusion you wish. I find this is easier to do the old fashioned way but making copies, printing things and assembling in an organized book. Be thorough, but be succinct. First, know the politics behind this. For the past several budgets that Congress has passed, they have cut OCR funding. The OCR is doing more with less. You want your complaint to stand out. They cannot and do not investigate all complaints, so you want yours at least investigated. If your complaint is long, rambling, not a lot of facts but chock full of rants and opinions, it is probably not going to catch their eye. You want to have a strong complaint. Connect the dots for them. Show them how a specific action or behavior violated the child’s civil rights. Consider a FOIA request. Any other OCR or 504 complaints filed against your school are public knowledge. You can do a FOIA request to get this information. This is just good knowledge and background to have as you prepare yours. Bonus tip! Here is a tip I learned a long time ago. Always include the phrasing “And other students who are similarly situated.” You are likely filing on behalf of your child. But, if you only file on behalf of your child, they will only look at your child’s records. Adding that phrase gives OCR cause to look at other students’ files too. But don’t overthink it. It’s a lot to digest and it can be time consuming. Maybe. 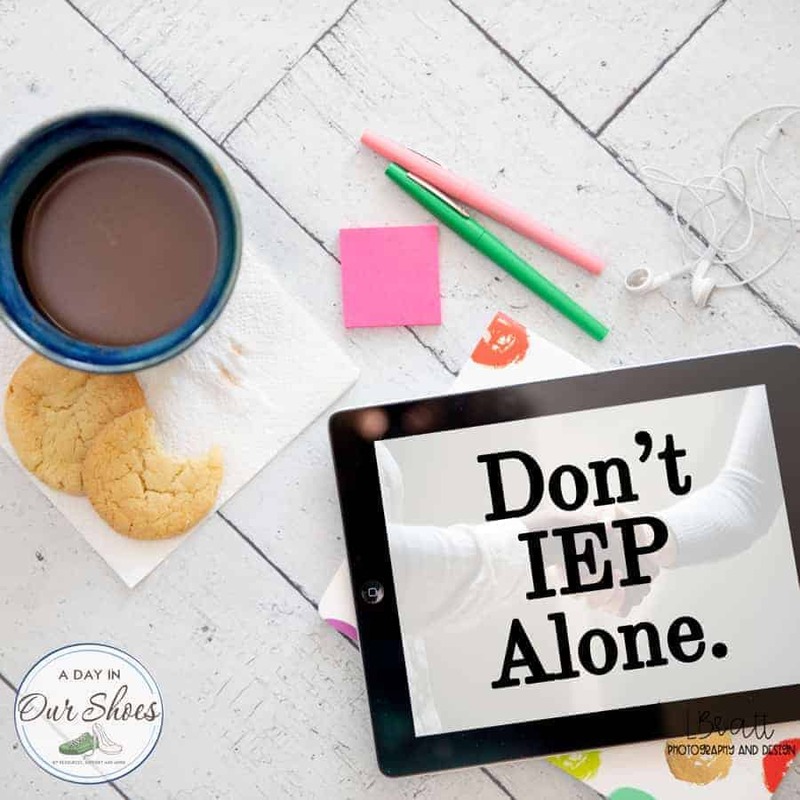 If you are trying to prove retaliation or that you have been denied meaningful participation in the IEP process, therefore denying your child FAPE, those complaints can be a lot of work. I’ve done them and it takes time and effort. But, then again, maybe your child’s public school playground is not wheelchair accessible. Or maybe you’ve simply been denied access on a field trip due to behaviors. Those are pretty cut and dry and shouldn’t take as much time. If you have a pretty straightforward complaint, don’t let me stress you out into thinking you need to do more. Try other things first. I don’t want to say OCR is a ‘last resort’ but I don’t think it should your first choice all the time either. Meet with the principal, see if they can or will make the playground accessible. Call the teacher on the phone to try to work out the field trip situation. Sometimes really nice and well-intended people say and do stupid things without thinking, because they are overwhelmed or whatever (Hanlon’s Razor). You don’t want to alienate an ally on your team just because they were having a bad day and made a snap decision without thinking (like a field trip). Go with your gut. If this is a pattern or a way of thinking or you’ve tried other remedies and there is no change, then file. Find your state or local office. If you filed with the Department of Ed, their information is online. Or, you can send it to your local office. All the information is on their website, as far as who to contact and how. But if you haven’t heard anything about two weeks after filing, I’d follow up. Find other parents. Network, network, network! Find other parents and see if you can get them to file complaints, particularly if there is a pattern of discrimination. If an OCR office receives a few complaints at around the same time, about the same school, that definitely gets a second look! Don’t be discouraged if you are on your own, but try to find others if you can. Disabilities is the last civil rights fight to be fought. Be a good foot soldier and put your best complaint out there. Help our kids win these battles. Good luck! Has Your School Been Investigated for Civil Rights Violations? « You + Your Kids= Best Summer Ever with this printable bucket list!